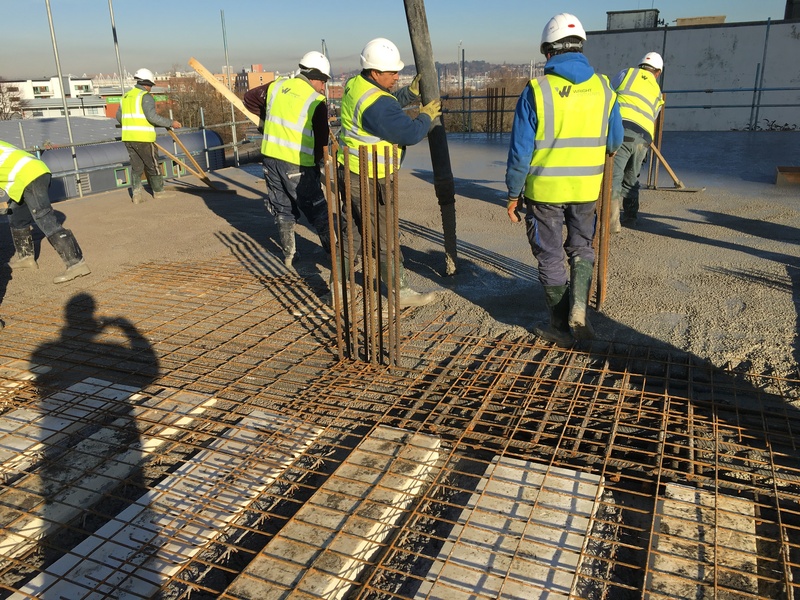 Aggregate Industries’ Lytacrete solution was the product of choice when it came to helping to introduce an additional floor mid-construction at a new seven story upmarket apartment scheme in Southampton. Located on Albert Road South, Southampton, the luxury apartment block was originally conceived as a six story scheme. Part-way through construction, plans were redesigned to include an additional floor – creating 20 apartments (7 one bedroom, 12 two bedroom and 1 three bedroom) for the area. The challenge for Wright Investments was to include another floor without overloading the existing structure that was already in place – no easy feat. However, fortunately this was made possible with the help of Aggregate Industries who suggested Lytacrete – a specialist lightweight solution – in place of conventional weighty concrete. Helping to revolutionise modern construction, Lytacrete concrete, which is formed using Lytag secondary aggregate, can be up to 50 per cent lighter than traditional comparable materials. As such, by using Lytacrete, Wright Investments will be able to reduce the dead load of the construction by approximately 7620kN over normal weight concrete whilst maintaining its structural integrity. Crucially for the project, this has enabled reduced size columns, beams and slabs, allowing greater room the developers to add the additional required floor. In production for more than 50 years, Lytag secondary aggregate is made using innovative technology which transforms fly ash into small pellets which are then heated to 1,100°C. The pellets formed are rounded in shape and range in size from 14 mm down to fines and can be used as a superior, consistent, lightweight aggregate. In total, 420m3 of Lytacrete was supplied for the completion of 7 storeys in the Albert Road South apartment scheme, due for completion in 2018.